I'm forwarding this information and hope you will forward it to your contacts as well, or if you are in the media, report on this important news event. As Julian Assange, WikiLeaks publisher, says in the report: "This is a victory for free speech. This is a victory against the rise of economic censorship to crack down against journalists and publishers." If we lose free speech, we won't know when everybody loses the next thing, either, until they knock on our door and come for us. We won't hear about it. And like it or not, speaking freely is nice, but it costs money to get the word out and be heard. WikiLeaks needs the right to be funded or it will be silenced. It was indoubtedly with that goal in mind that the economic blockade was initiated in the first place, in 2010. This court decision will help provide WikiLeaks with the ability to receive donations directly again. >Visa's Valitor will be fined 800,000 ISK ($6,830) per day. >economic censorship to crack down against journalists and publishers"
>founding European principles of economic and political freedom." >economic blockade against the organisation. >denying services to companies or organisations, such as WikiLeaks. >Congress and Senate (Senator Lieberman and Congressman Peter T. King). >WikiLeaks. It allows donors to make anonymous, tax-deductable donations. In their response to the California Public Utilities Commission (CPUC) regarding other party's comments, Southern California Edison (SCE) wants to strike and/or defer much of the most crucial testimony, saying that the comments show that the commentator's ultimate goal is to shut San Onofre forever. SCE says it like that's a bad thing. It's a good thing, and so feeling that way is NOT proof of an "agenda," as SCE is trying to imply. In reality, the entire industry knows that technologically, the activists have won on engineering principles and the NRC officials know that THIS time, many people including many of them will surely go to jail of the reactor is restarted, and then fails from a single tube rupture, out of nearly 20,000 tubes, thousands of which -- if not all of which -- are already significantly and measurably damaged. Such an event would destroy their careers and seriously damage the credibility of the agency. And their biggest problem isn't the activists, it's that a lot of the possible damage is NOT easily measured or identified. So they're taking a real crapshoot on this one. Tens, even hundreds of billions of dollars in company worth and reputation will be lost if San Onofre starts up and then fails. But it doesn't even have to fail. Every one of those 170,000 measurements they took beforehand will (presumably...) be rechecked after the five-month test-run (and what if it has to shut down prior to the five months for some other reason? Will they stop the test? By what criteria will they stop the test?). Any greater-than-expected-wear found during inspections after the five month period, even if it doesn't rupture, let alone an actual tube rupture, will cost SCE and all the other corporations, and the NRC, billions of dollars and incalculable amounts of credibility. It may also destroy San Onofre. The tubes are fatigued. The unprecedented vibrations are potentially catastrophic, because multiple tube ruptures after a main steam line break with a concurrent (and not sufficiently unlikely) failure of a steam line isolation valve is functionally equivalent to a hole in the reactor pressure vessel. A hole in the reactor pressure vessel? That doesn't sound good! It isn't -- it can lead to "core melt." A front-page story in my local paper yesterday (San Diego Union-Tribune) declared that the problems that have occurred at San Onofre were well-known in the industry at least at the earliest phases of the steam generator problem, if not sooner. SCE should have known better but used a faulty design. But the first question to answer is still: What will we do with the waste? Here it is, Earth Day again, and for the first time since the early 1980s (When Unit 1 was down for an extended repair, and before the now-aging Units 2 and 3 were completed) there's been no new nuclear waste produced at San Onofre for more than a year. It has not polluted the earth MORE for one whole year. That needs to be made permanent. Decommissioning San Onofre will only get more expensive, so the best time to start is immediately. In fact, we've spent as much on this outage, that if we had put the money into decommissioning, the entire rest of the project has already been funded by ratepayers! How much closer to "free" can you get? Why make the same mistake again this month (nearly $70 million dollars) or next month, or ever again? Decommission San Onofre NOW. It's the only safe, cost-effective, reasonable thing to do. Dr. Joram Hopenfeld's testimony looks at many aspects of the problems of San Onofre, but concentrates its focus on the concentration of forces in certain areas of the U-tubes of the steam generators, and the effect those forces have over time. He argues that Unit 2's steam generator tubes have already used up their available fatigue life, and if they haven't, it's not possible to know precisely how much time they have left before they do. And it's not possible to fix them. And it's not possible to inspect them. Dr. Hopenfeld's conclusions are all based on proven engineering principles and incorporate industry and research standard references. Where SCE or MHI redacted specifications and made it impossible to know what the exact values were for a calculation, he was forced to bracket the most reasonable or likely answers. For the size of a wear notch fillet, for instance, the differences in assumed diameters of a thousandth of an inch can have a huge effect over millions of impacts. Dr. Hopenfeld explains that there are several different kinds of failures possible in a steam generator u-tube, and they can combine to make matters worse. Much of his background testimony consists of standard textbook educational material presumably for the edification of the less-experienced in materials science, about stress corrosion cracking (SCC) (think: rust), fatigue wear (think: bend it back and forth until it breaks), and fretting wear (think: scratch away at the 0.043" wall thickness with a sharp-cornered rectangular piece of hard steel millions of times and see what happens). Most of the testimony is about fatigue wear, but made worse in combination with fretting and SCC damage. Fatigue wear, he explains, can be avoided completely if the tubes are not subjected to extreme stress. He then argues that MHI and SCE have not proven that the tubes were not subjected to excessive and life-shortening forces. Using bounding factors where necessary, he calculates that some of Unit 2's u-tubes can be expected to reach 20% to 29% of their allowable fatigue life during the next cycle -- in other words, they have already been overstressed. This is true not just for a small collection of the 9727 tubes in each steam generator but for a great number of them. He also explains that to be sure you are using "conservative" or safe values, you must account for the variance in the accuracy of your calculations. Edison did not do this. He explains that Unit 2 is required by NRC regulations to have no worse than one chance in 10,000 per reactor year of a significant radioactive release (known as a LERF), but because the damaged tubes can break off in multiple tube failures due to fatigue, fretting, and SCC acting alone or in combination, and because an MSLB with an isolation valve failure has a greater chance than that of occurring, there is no reason to believe a LERF-sized event also can't occur more frequently than the NRC requirements permit. Put another way, the eight tube ruptures that occurred during in-situ pressure testing of Unit 3 last year indicated the severity of the problem that COULD have occurred and could also occur at any time if Unit 2 is restarted at 70% or any power level. NRC regulations do not account for more than a small amount of primary-to-secondary radioactive coolant leakage. San Onofre Unit 2 can and possibly will exceed those limits, leading to "core melt" should any number of things go wrong. These are serious allegations against the claims of Southern California Edison, who has stated that the reduced power level of operating at 70% will protect the public by preventing "Fluid Elastic Instability." Dr. Hopenfeld argues strongly that it doesn't matter if they're right or wrong about that for several reasons: First, the fatigue damage has already been done. Second, the damage cannot be properly detected and even if it could be more properly inspected than it has been, SCE has chosen, for whatever reason, NOT to do more thorough inspections. Third, and perhaps most important, even if Unit 2 can run perfectly at 70% power or 100% power, there is no reason to believe it can survive an operational transient, like opening and closing valves and the extra forces those events put on the system, let alone a main steam line break or other large "design basis accident." SCE claims their operators can handle a main steam line break event. Dr. Hopenfeld proves they have nothing to go on when making that claim except good luck. Thus the plant would be operating completely outside the bounds of NRC's regulatory safety framework if it is restarted. San Onofre Unit 2's steam generators are fatigued and broken, and should definitely not be restarted due to the significant risk a restart would pose to the citizens of Southern California and the economy of the entire United States, which cannot afford a Trillion Dollar Eco-Disaster like Fukushima. A false representation of a matter of fact ­- whether by words or by conduct, by false or misleading allegations, or by concealment of what should have been disclosed -­ that deceives and is intended to deceive another so that the individual will act upon it to her or his legal injury. Fraud must be proved by showing that the defendant's actions involved five separate elements: (1) a false statement of a material fact, (2) knowledge on the part of the defendant that the statement is untrue, (3) intent on the part of the defendant to deceive the alleged victim, (4) justifiable reliance by the alleged victim on the statement, and (5) injury to the alleged victim as a result. Fraud is commonly understood as dishonesty calculated for advantage. The actions of Southern California Edison (SCE) in pushing their Replacement Steam Generators (RSGs) for San Onofre Nuclear Generating Station (SanO) through the California Public Utilities Commission (CPUC) (for ratepayer funding) and through the Nuclear Regulatory Commission (NRC) (for safety approval) amounts to fraud. Presented as "like-for-like" with the Original Steam Generators (OSGs), the RSGs were in fact significantly UNLIKE the OSGs -- and (as we all now know) not only unworkable but UNSAFE. In this writer's opinion, SCE's actions have reached the level of criminal negligence, since the lives and livelihoods of almost 9 million people who live and work within 50 miles of the plant are at stake. Where an abundance of caution should have been used, SCE instead was focused on shareholder profits. SCE's actions satisfy all five requirements listed above to prove fraud. First: A false statement of a material fact. A) Much tighter spacing of the steam generator tubes to approximately 3/4 inch (versus about one inch in the OSGs), with a new triangular spacing pattern (versus a square spacing pattern in the OSGs). B) Reducing the distance between each tube in the U-bend region to as little as 0.05 inches between some of the tubes. The industry norm is between 0.35 and 0.55 inches; the design (intended) spacing was 0.25 inches. This tighter packing of the tubes allowed them to clang into each other more easily, which increased wear damage (the rupture on January 31, 2012 which disabled Unit 3 was in the u-bend region of the tube bundle). C) Adding over 370 tubes per steam generator, which also, along with the tighter spacing of the tubes, reduced the available flow area of the secondary coolant loop. D) Lengthening of the tubes by an average of nearly 2 1/2 feet per tube, which had several detrimental effects, including allowing the longer tubes to vibrate at a lower level of turbulence, and reducing the open space above the u-bend of the tubes, which prevented the steam from properly exiting the top of the u-bend region before entering the swirl vane moisture separators. This may have increased the "Mitsubishi Flowering Effect," further weakening the tubes, especially just above the tube support plate (TSP) located at the top of the straight portion of the tubes at the base of the u-bends. E) The reduced space available in the secondary coolant loop altered the flow characteristics of the steam/water mixture in that loop. Proper flow is required to transfer heat away from the primary coolant loop, which flows through the reactor at about 2,500 gallons per second, at about 2200 pounds per square inch of pressure, and exits the reactor at about 600 degrees Fahrenheit. These design changes caused steam "dry-out" (too much steam (more than about 99.6%) and not enough water (less than about 0.4%)) in the steam/water secondary coolant loop mixture. The dry-out conditions resulted in heat being transferred less efficiently, which in turn, also changed the flow characteristics of the RSGs. The net result was significantly increased flow rate of the secondary coolant loop's steam/water mixture within the U-tube bundle, and simultaneously, significantly reduced damping of any tube movement that occurred for any reason. F) Removal of a "stay cylinder" in the center of the steam generators (to make more room for additional u-tubes) may have allowed an increase in vibration and thus, fatigue. Among other effects, these changes reduced the normal 'nucleate boiling' on the outer surfaces of the tubes due to excessively dry steam. This in turn caused additional thermal stress, cavitation, and fatigue when the remaining bubbles of steam "exploded" on the hot, dry tube surfaces. Damage from this phenomenon is not easily diagnosed and has not been properly inspected for, yet SCE is now putting pressure on NRC to restart the reactor by claiming to have done a "thorough" inspection of all the tubes -- even though much better inspection equipment is available which SCE has decided not to use. Fatigue damage specifically has barely been inspected for (tube-to-tube wear has been concentrated on, instead). Edison also claimed that all four RSGs (two per reactor) were virtually identical, yet they now claim that small differences in manufacturing procedures make Unit 2's RSGs sufficiently different to be safely restarted. In reality the manufacturing differences were not significant; the operational differences between the two reactors were why Unit 3 suffered more extensive damage, faster, than Unit 2. Second: Knowledge on the part of the defendant that the statement is untrue. A) SCE required MHI to withhold certain safety improvements specifically to prevent a thorough NRC review process that would have also allowed public scrutiny of their new steam generator design. Thus, they were well aware that their claim that "safety is their highest priority" is blatantly untrue. B) SCE has repeatedly stated that the nuclear waste problem is not a problem because of "Yucca Mountain." But the proposed Yucca Mountain storage facility was never a viable solution to the nuclear waste problem and was never even close to being placed into service, due to both the geology of Yucca Mountain specifically (earthquake faults, water seepage, etc.) and due to the intractable, destructive nature of nuclear waste generally. The fact is, ionizing radiation (by definition) can destroy any containment you put it in. Furthermore, vermin will move the waste away from the dump site, as will flowing groundwater, and the radiation will continue to be hazardous for many millennia. C) SCE falsely claims that SanO can help reduce global warming because, according to them, it does not release greenhouse gases. This is untrue: The nuclear fuel cycle is extremely carbon-intensive during mining, milling, and enrichment of the uranium oxide fuel, during construction of the reactor (along with all its replacement parts), and during the decommissioning process. 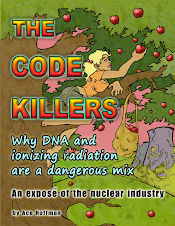 Carbon emissions occur throughout the operating life of the reactors as well, as approximately 1,500 people work at the plant, drive to work, etc.. After decommissioning, the radioactive trash (spent fuel) continues to release ozone-damaging and DNA-damaging ionizing radioactive particles, along with thermal heat. Guards, guns, and guard dogs will be needed for thousands of generations, at a cost of tens of millions of dollars per year per reactor. For these reasons nuclear power is not a solution to global warming, but instead is a significant part of the problem. Third: Intent on the part of the defendant to deceive the alleged victim. A) SCE stated to the NRC on 4/5/2013 that Southern California "needed" SanO for grid stability, voltage support, and to address customer demand for electricity. Yet the California Independent System Operator (Cal-ISO) has shown that there is plenty of electricity available and furthermore, SCE has undertaken NO attempt to replace SanO's electricity with clean, green alternatives in the 16 months since the tube rupture made it apparent that Unit 3 could never, and Unit 2 should never, come back online in their present condition. In fact SCE appears to be attempting, through their inaction, to CAUSE blackouts this summer in order to justify their claim that SanO is "needed." The reality is that nuclear power plants are notorious for not staying online, and with only one reactor (at most) operating, an alternative energy plan SHOULD HAVE ALREADY been put in place. Yet no such plan is being implemented, as SCE keeps stalling while hoping for an extraordinarily hot summer, along with maybe a few downed high-power transmission lines. Any blackouts or brownouts, regardless of their cause, will be pointed to as "proof" that SanO is needed, even though they might have occurred anyway, and SanO might have gone down for a variety of reasons anyway. What SoCal really needs is additional wind energy, solar energy, demand response, and other clean alternatives. B) SCE's claim that grid stability will be compromised by too high a percentage of renewable energy has been proven false by, for example, Portugal's success with turning to renewables (now over 70%), and Germany's (over 25%). Germany's goal is 45% renewable energy by 2030, and 80% to 100% renewable energy by 2050. California can and should be a global leader in renewable energy. C) SCE stated on 4/8/2013 that: "Operating [Unit 2] at 70 percent power prevents conditions that caused the tube-to-tube wear in Unit 3 that resulted in the nuclear plant being shut down since January 2012." This is a misleading statement and a misrepresentation of fact. Firstly, SCE is only speculating and does not know for sure that Fluid Elastic Instability (FEI) can be prevented at 70% power. Secondly, SCE is completely ignoring dangerous tube behavior that can occur during operational transients (such as the opening or shutting of valves,start-up, shut-down, etc. ), tsunamis, earthquakes, and/or during a Main Steam Line Break (MSLB) condition. Thirdly, describing a 70% power reduction at the turbine, while operating the reactor at approximately 100% (normal) power (which is the true intent of SCE's plan) is very misleading, and is intended to lull the public into thinking Unit 2 will just limp along quietly with no safety problems. D) SCE, in attempting to justify restart of Unit 2, claimed to the public and the media that new "acoustic listeners" would help SCE avoid a repetition of the January 31, 2012 tube rupture and leak. But this claim was proven false when NRC questioning revealed that the listeners would only provide data to be analyzed later and would offer no real-time protection or early warning about tube wear problems. This was A purposeful obfuscation on the part of SCE to hoodwink the public into thinking SCE would be able to tell beforehand if there is tube damage which might cause a rupture. They can't tell, as proven by the fact that Unit 2 had one tube with 90% tube wall wear, and numerous tubes that had exceeded their safety limitation of 35% tube wall wear, and SCE had no knowledge of this fact until Unit 2's RSGs were re-inspected more carefully after the radiation leakage was discovered in Unit 3. E) In 2004 when they applied to the CPUC to force ratepayers to cover the cost of the RSGs, SCE claimed that the project would somehow save about a billion dollars for ratepayers over a 20 year period -- about 50 million dollars a year. It has already cost ratepayers far more than that, and continues to cost ratepayers nearly 70 million dollars each MONTH while we wait to have a decision about restart. The RSGs in Unit 3 ran for less than a year and can never be used again, and the RSGs in Unit 2 ran for less than 2 years and should also never be used again. SCE should have foreseen these problems specifically, and other problems generally, and included such costs in their analysis. If they had, no one would have approved the replacement steam generator project. Fourth: Justifiable reliance by the alleged victim on the statement. A) Despite numerous activists and experts outside the nuclear industry (and their too cozy federal regulators) using sound engineering principles to explain why Unit 2 should not be restarted (John Large, Joram Hopenfeld, Arnie Gundersen, Michel Pettigrew and others), the vast majority of SoCal's population only hears what SCE says and the media repeats, because SCE has an enormous PR budget (paid for by the ratepayers). After all, SCE has the nuclear experts, right? (Who just happen to include the ones that designed the defective RSGs.) In actuality, the above-mentioned gentlemen are among the world's leading experts in nuclear reactor steam generators. Not one of them believes Unit 2 can be restarted safely with the current pairs of steam generators. B) SCE has, through careful wording of their statements to the NRC, attempted (and largely succeeded) in convincing the NRC that a restart may be possible, despite the known (and unknown) tube damage that has already occurred. The public -- the victim -- is being hoodwinked by SCE and NRC "experts" who toss technical statements back and forth, asserting that neither of them will allow an unsafe restart -- and yet, as outside experts have shown, that is the only kind of restart that is possible. SCE is counting on the public to believe that NRC will oversee SCE properly, and since the majority of the public is unaware of the "regulatory capture" that has occurred within the NRC, SCE may get their wish. Meanwhile, the actions of SCE and NRC are quietly being investigated by a number of federal and state oversight groups: The Security and Exchange Commission, the Atomic Licensing Review Board, the NRC Inspector General's office, the CPUC and others. Fifth: Injury to the alleged victim as a result. A) There are nearly nine million people who live and work within 50 miles of San Onofre. They might all be affected by a restart decision if there is a meltdown, which might cost more than a trillion dollars and permanently displace millions of people, along with causing hundreds of thousands of deaths. Such enormous numbers are indicated not only by the actual events around Chernobyl and Fukushima, which, bad as they were, were not as bad as they could have been or could be at SanO, but also, by the figures cited in the 1982 federal report known as CRAC-2 (a report which seriously underestimated the average number of meltdowns the world would experience over time, as well as the size of populations around the plants, time needed to evacuate, and damage to human health from radiation). B) If there is an accident, the federal Price-Anderson Act of 1957 will prevent victims from obtaining reasonable compensation from SCE for damages and injuries that will result. The act limits nuclear industry liability for an accident to about 12 billion dollars. C) Even if there is no meltdown of the reactor, restarting it will result in increasing the amount of spent fuel stored on site (or stored somewhere), the costs and risks of which will be borne by future generations of citizens, not SCE. The lethality of the waste will continue for hundreds of thousands of years as radioactive decay products transform from one radioactive element to another, and another (sometimes dozens of steps), until a stable element is reached. D) Even if there is no accident, all of SCE's projections of future savings for the ratepayer are based on wishful thinking: SCE hopes that SanO will operate successfully for the next 20 (or 40) years, but there is no guarantee that other problems will not arise, and nor is there any assurance that safety changes expected to be required over the next few years due to lessons learned from the Fukushima accident will not make operating SanO even less cost-effective than it would be anyway. Southern California Edison has committed fraud against the people of Southern California. It is time that both the California Public Utilities Commission and the State Attorney General put a stop to SCE's unlawful practices. SCE continues to propose restarting Unit 2 with damaged and defective steam generators, which poses a serious and substantial risk to all Southern Californians. Relief for the ratepayers is demanded by immediately starting the decommissioning process for the "San Onofre Nuclear Waste Generating Station." Media Alert: San Onofre is unsafe at any power and Nuclear Experts explain why! Which explains in detail why any restart at San Onofre puts Southern California at risk of a nuclear accident. A complete five (5) part presentation (see the eight (8) titles listed below), which are posted on the web at this link: DAB Safety Team Documents. The DAB Safety Team has transmitted the following to the Offices of the Chairman of the NRC, California Attorney General and Senator Barbara Boxer's Committee on Environment and Public Works (EPW). · NRC failed to integrate available information in assessing Davis-Besse's safety performance. Questionable enforcement at San Onofre by Region IV and the NRC: The papers shown below have been obtained from Public Domain written by Dr. Joram Hopenfeld and a former SONGS Employee based on his investigation of the steam generator issues, review of the plant data and discussions with several Key SONGS Insiders. These papers confirm that Southern California Edison wants to restart unsafe Unit 2 nuclear reactor at 70% power under false pretenses, just for profits, and as an unapproved risky experiment by subverting the NRC and Federal regulatory process. The true Root Cause (See Note 2) of the unprecedented tube-to-tube wear in Unit 3 has NOT been officially established, as required by NRC Confirmatory Letter Action 1 for restarting the defectively designed and degraded Unit 2. NRC has not even completed their review of Unit 2 Return to Service Reports, nor have they finished Special Unit 2 Tube Inspections, nor have they (publicly?) reviewed SCE's Response to NRC's Requests for Additional Information (RAIs). Now, SCE wants the NRC to approve a new shady License Amendment, undermining public safety and do it without the involvement of Public Safety Experts/Attorneys and Citizens/Ratepayers. After the review of the Mitsubishi Root Cause Evaluation and the Draft SCE License Amendment, it is crystal clear that the NRC needs to follow the example of their own enforcement at David Besse together with the lessons learned from Fukushima, when it comes to approving this new Shady License Amendment for restarting San Onofre Unit 2's defectively designed and degraded replacement steam generators. In light of the unanticipated/unprecedented tube leakage at SONGS 3, the health and safety, along with the economic concerns/objections of 8.4 million Southern Californians' MUST OVERRIDE and PREVENT the restarting of Unit 2 at 70% or ANY power level. In a Democratic Society, truth must prevail over profit motivations, misleading propaganda of electricity service disruption and/or projected probabilistic temporary inconveniences to the public based on phony data, because America cannot afford a trillion dollar nuclear eco-disaster! Safety must override SCE profits and prevent Unit 2 from restarting. 1: Regulatory capture occurs when a regulatory agency, created to act in the public interest, instead advances the commercial or special concerns of interest groups that dominate the industry or sector it is charged with regulating. Regulatory capture is a form of government failure, as it can act as an encouragement for firms to produce negative externalities. The agencies are called "captured agencies". 2. Human performance errors resulting from the negative safety culture of production (profits) goals overriding public safety obligations.